Apply twice a week as a booster for your skin. Can be used as an intense treatment twice a year, with a 5 month break in between. Use for 28 consecutive days, morning and evening. You may experience a mild warming sensation when first applied but this is normal as the product is highly concentrated. 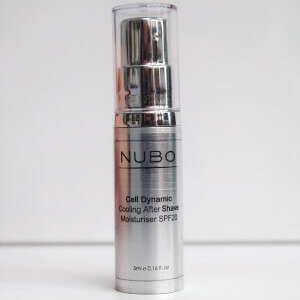 Save 15% and receive a FREE NuBo Cell Dynamic Cooling Aftershave Moisturiser SPF 20 when you buy any NuBo. Complimentary gift will be awarded at the basket. Offer valid for a limited time only, while stocks last.